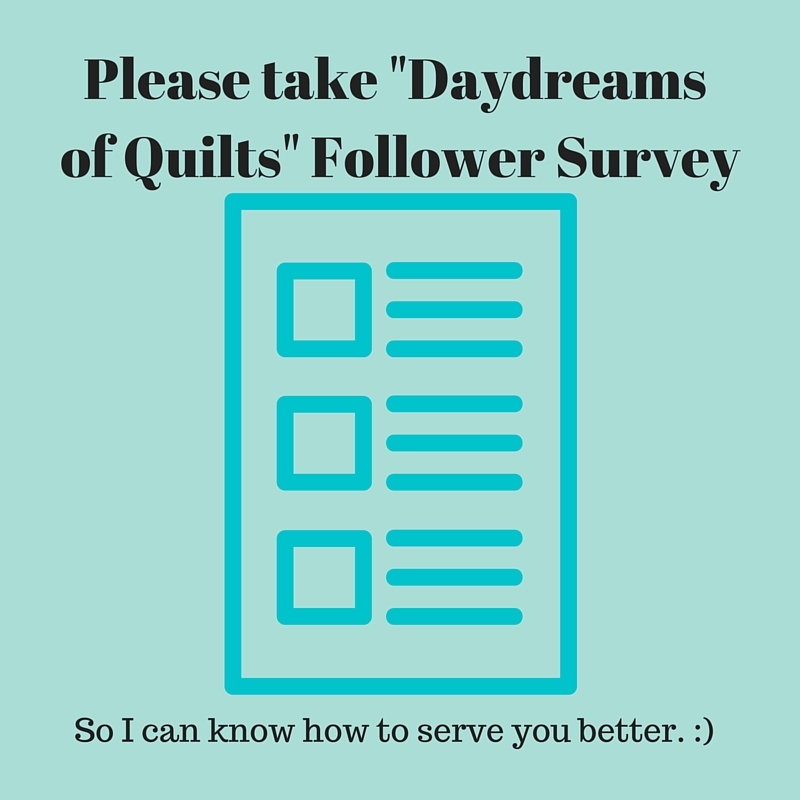 Daydreams of Quilts: Survey Time! Hi everyone! I am coming up on my five year blog anniversary! This year I have made growing my blog and my email list my top priority and I have many new things coming up in the next few months that I am excited to launch but I want to make sure I am going in the right direction. I would love to know your thoughts on some of the topics in a little survey I have just created. Would you mind filling it out for me? I would appreciate it so much. Thank you! 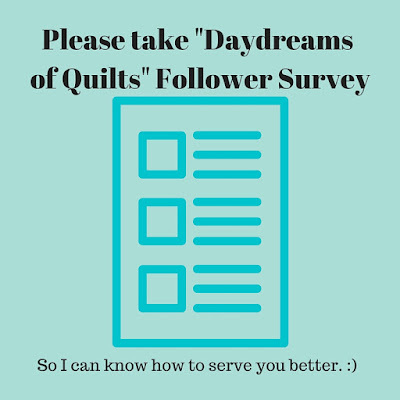 Click here to get to the survey!